Provide your baby with a superior fit for superior safety while traveling with the onBoard 35 LT infant car seat. The 4 harness heights are spaced right to give your child a better fit all the way from 4-35 pounds. The buckle adjusts in two ways so that you can customize not only the length, but also the buckle's position on your child. Smaller babies get the extra support they need with head and body inserts that can be removed as they grow. The seat has also been designed for a better reclined body position to give your baby a safer ride.The seat is also designed to be easier for parents to use. It's the lightest infant car seat that can accommodate a baby up to 35 pounds, making it much easier to carry. * The harness adjusts easily from the front of the seat with a simple pull for a secure fit for your child, and the base height adjusts for the right fit to your car. 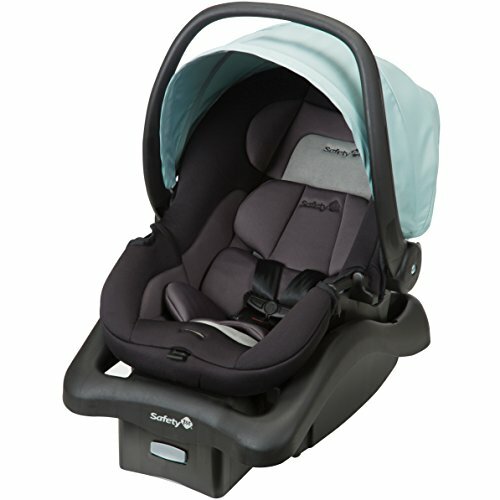 The car seat is compatible with all strollers that feature QuickClick. This allows you to securely attach the car seat to your stroller with one simple click, making it easy to use the car seat and a stroller together as a travel system. Getting the seat clean is simple too; thanks to a seat pad that is both machine washable and dryer safe. With the onBoard 35 LT infant car seat, travel is safer and more comfortable. *As of February 2017.